Colleen and Frederick encounter the terrible witch that has ruled the strange land into which they have fallen. Twists and turns, dead goblin armies and giants, cracks in the universe, phantasms and wishing wells, and tons of high adventure, carry Colleen and Frederick far apart and back together again through time and space and between worlds until they encounter the ancient Witch that has ruled the Strange Land into which they have fallen—and find her to be someone totally unexpected. 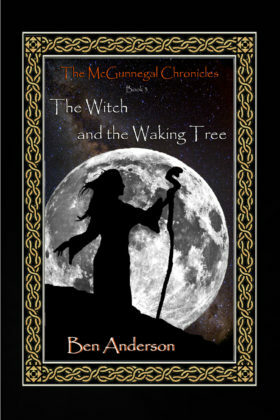 Book 3 of the The McGunnegal Chronicles series.